Many attribute Nokia's decline in recent years to its exclusive reliance on Microsoft's Windows Phone platform as its only outlet into the world of smartphones. Now one analyst argues that if Nokia has any hope of righting the ship, it must begin manufacturing Android smartphones. Pierre Ferragu of Bernstein Research urges that Nokia must "take the pill before one cannot afford to do so anymore… its exposure to the disappearing feature phone market and the lack of traction of Windows phones could cost Nokia a lot of cash in the near term, in restructuring, marketing/distribution support, and operational losses, which means it could be too late to address the problem in a couple of years." Nokia's partnership with Microsoft has been anything but what either company was hoping for, even if recent signs are encouraging. The Finnish phone maker and the Windows Phone operating system found on many of its devices are struggling to make the smartphone the three-horse race Elop was talking about when unveiling the new strategy. Nokia continues to rely heavily on its feature phone sales to keep finances in check, as evidenced by its most recent ad campaign for the S40-powered Nokia Asha 501. But the featurephone market, once a pillar of Nokia's dominance, is also starting to crumble. Even in the conservative Western European smartphone market, where Nokia's total shipments have dropped by 30% year-over-year. It's unclear what would it cost for Nokia to dip its toe into the Android pool, though. On one hand Microsoft has given licenses to Samsung, HTC and Huawei to make WP-powered devices of their own despite all of those also having Android smartphones. On the other ever since day one and Microsoft Nokia made it clear that their partnership is different to that between Microsoft and the other WP OEMs. 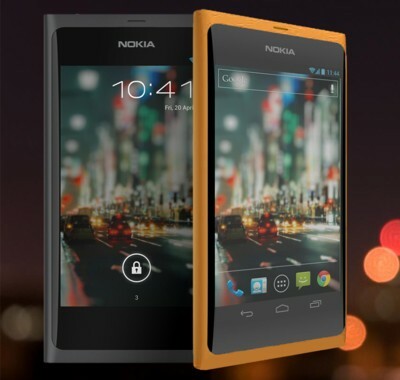 Yes Nokia should bring back the Meego OS swipe phone with all android apps and with nokia N9 Design.